Field Columbian Museum West Court Alcove 103. 1900. 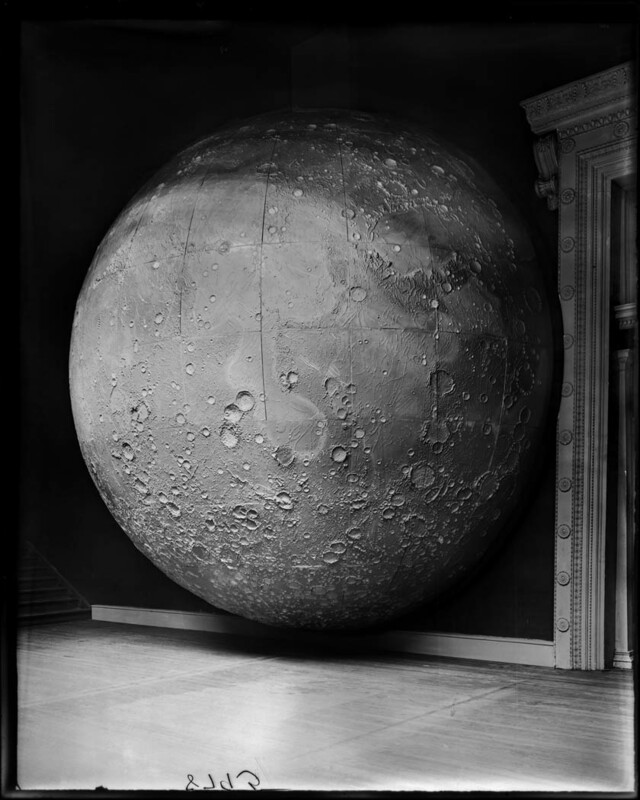 Moon Model Prepared by Johann Friedrich Julius Schmidt, Germany, in 1898. Made of 116 sections of plaster on a framework of wood and metal. Wood floor.